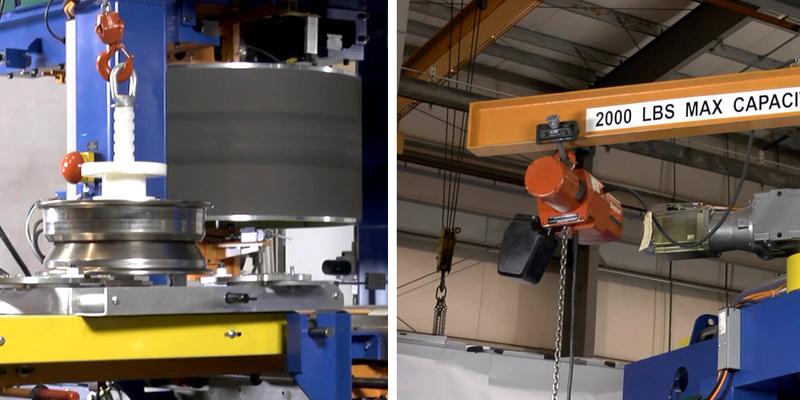 Utilizes a small add on crane to lift the rims into the uniformity machine. Handling cradle, with locking screw for securing rims, can be lifted by hoist or forklift. Rims changed out in less than 10 minutes with no manual lifting by the operator. Retrofits to your existing machine.